We're tipping our hats and paying homage to a variety of hop that arguably put the Craft Beer industry on the map and gave us all jobs. It's an undisputed heavyweight and easily one of my favourite hops of all time ... the one and only, CASCADE. 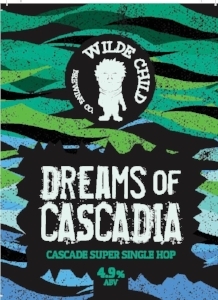 This 'cascade super single hop' pale ale contains nearly 15g of this delightful humulus lupulus per litre of beer.